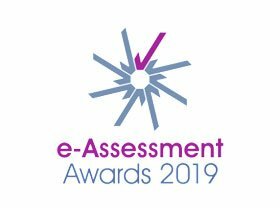 e-portfolios in assessment has been adopted by many awarding bodies and accepted by the regulators. There are a range of benefits for those involved in using e-portfolios, enabling learners to demonstrate skills and present tremendous opportunities to increase the range of evidence types accessible to both learners and assessors. E-portfolios are flexible, cost effective and improve the assessment process. Additional benefits include the ability to access the e-portfolio from any networked or web enabled computer. This is accessible by a number of password protected users. Examine the stages in the Journey of Evidence. The e-portfolio allows learners to store evidence in a variety of formats using various forms of media. Assessors, moderators, verifiers will all have secure log in and passwords unique to them which enables them to access their learners e-portfolios. Internal verifiers/ moderators will all have secure log in and passwords unique to them which enables them to access their learners e-portfolios and any assessment records. Centres will have agreed their e-portfolio product with their awarding body. Most products will accommodate a variety of qualifications.